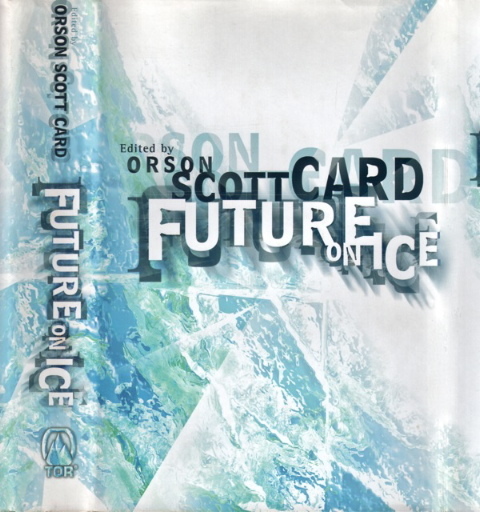 Cover: Future on Ice by The Chopping Block, Inc.
"First Edition: October 1998" stated on the copyright page with a complete number line: "0 9 8 7 6 5 4 3 2 1". Copyright page contains the complete Library of Congress Cataloging-in-Publication Data, including the ISBN (0-312-86694-1), the year of publication (1998), and the LCCN (98-23524). Each story is preceded by a one-two page introduction (except for "Cabracan" which has a six-page introduction.) The page numbers given here are for the page on which the story begins. The Contents page gives the page number on which the introduction begins.